← Space Flight: The Ultimate Incentive? An obvious one, but springs are often the first thing we use in the morning, and the last thing we use at night. Providing support for your body and reacting to your movement throughout the night, a good night&apos;s rest simply wouldn&apos;t be possible without the springs in a sprung mattress. Something many people may not have considered before is the use of springs when opening doors. A door handle spring is one we simply couldn&apos;t get through the day without, and one we use hundreds of times a day. Without springs, remote controls, amongst other battery operated products, simply would not work. The springs complete the electrical circuit in the product, powering the device with electricity without the need for it to be plugged into a socket or powered by other means. Microwave doors are, of course, also helped by the spring. Using a user-operated button or catch, springs power the release of the microwave door as well as working to keep it closed. The spring is also used in this way for dishwashers, washing machines and other similar products. DVD drives and VCR machines use springs to open their doors and, particularly in the case of VCR machines, to eject the disc or cassette in response to an eject button being pressed by the user, either on a remote control or on the system itself. These are just some of the many household items that depend on springs to function. 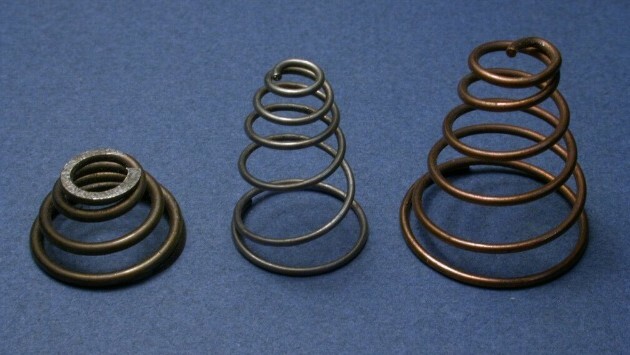 Springs are a necessity, particularly in the engineering industry, and European Springs are one of Europe&apos;s leading spring suppliers. To enquire about our bespoke service, contact us today on (0)208 663 1800 or email info.bec@europeansprings.com.